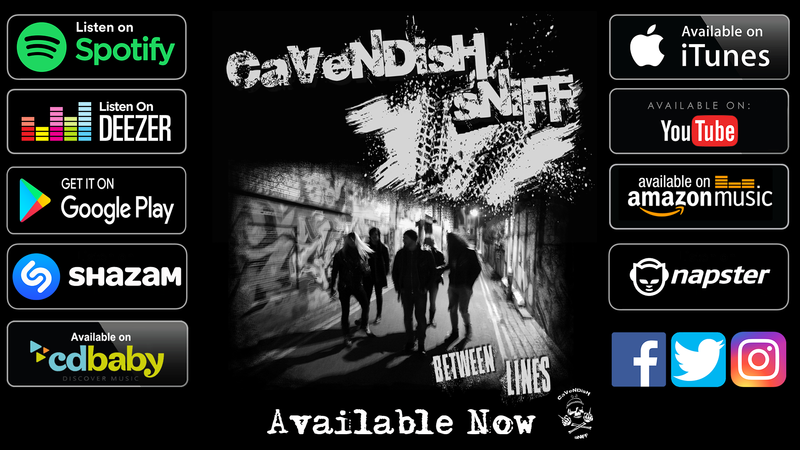 Cavendish Sniff started out as a jam session in a third floor studio flat in Brighton. Coming from a town full of acoustic duos, indie bands and DJ sets, Cavendish Sniff set out to play the sort of music they wanted to hear and what was evidently missing in the live circuits. Drawing on influences which range from the punk and hard rock scenes of the seventies and eighties right through to the more modern sleaze scene, they also aim to add something fresh. They spent the next few years paying their dues, playing any gig possible at dive bars and clubs, working their way up to support slots at bigger venues such as Bedford Esquires and with touring acts such as Adam Bomb. With a new drummer on board, the Sniff's next goal was to hit the studio to record a live & raw demo CD to give people a taste of what to expect at the gigs. 'A Whiff of the Sniff' was recorded at the Leveller's main recording hub; Metway Studios, with esteemed engineer Jake Rousham (Levellers, Roger Daltrey and Nick Cave). With 'A Whiff of the Sniff' you had the first taster of what the band was capable of. The next summer they were back in the studio to record their follow-up EP 'Between Lines', this time at Audio Beach Studios with engineer Forbes Coleman. Once again recorded as a live band, 'Between Lines' sees the band drawing on darker subject matters based on personal experiences and some of their acquaintances in the Brighton rock scenes. With a grittier more polished sound 'Between Lines' cements their consistency in songwriting, leaving you wanting more.